The love fest continues with author Kate Lutter. “I recently published my first book, Wild Point Island, and like most authors had no trouble listing in the Acknowledgement section the names of all the people who helped and supported me along the way. For me, it was no problem listing the names. I guess I am what you would call a collaborative person. Over the years, I’ve worked in several critique and plotting groups and count a lot of writers as my friends. But if I have to be honest with myself and go way back to the beginning—to the first time I joined a professional writing organization, to the first time I joined a critique group, then I’d have to put Michelle Cunnah at the top of that list. Michelle was the one who reached out and asked me if I wanted to join her group, and after that, my life as a writer was never the same. She was born and bred in England and was here in the states because of her husband’s job transfer so she had the loveliest British accent. She was the first one in our little critique group to get published with a big publisher – she wrote chick lit and her books 32AA, Call Waiting, and Confessions of a Serial Dater sold well. She modelled for us how to act—that writers were writers — regardless of whether they were lucky enough to have found publication or not. She understood, even then, how volatile and tricky the business can be. She was never cruel or mean in her critiques, always honest and helpful, even when she was drawing giant black X’s through my abundant wordiness. In truth, she taught me how to write. The day she moved back to England, I didn’t lose a friend, but I knew that my life as a writer would never be the same. We still write and see each other at conferences. I still dream that she’ll come back to America. 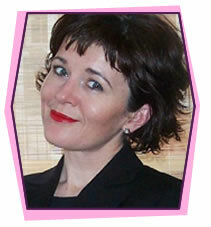 She writes young adult now under the pen name Michelle Bradford. Good writers never die; they just continue to write and inspire. 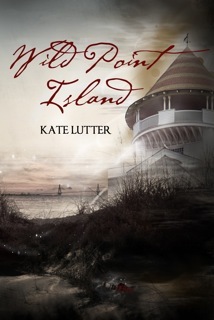 Her debut book, Wild Point Island was published by Crescent Moon Press in 2012. It’s now available from Amazon.com and Barnes and Noble.com in print and e book formats. Banished from Wild Point Island as a child, Ella Pattenson, a half human-half revenant, has managed to hide her true identity as a descendent of the Lost Colony of Roanoke. Thought to have perished, the settlers survived but were transformed into revenants–immortal beings who live forever as long as they remain on the island. Thanks, Wynne, for sharing my Pay It Forward about Michelle and for showcasing my story Wild Point Island. Take care. Aw, Kate. . . sniffle. Thank you so much. You inspired and helped me too! Michelle was one of the authors in New Jersey who made me feel like I fit in even when I was first published with a small e-publisher at a time when most people didn’t know what an ebook was and thought you had to print the book up to read it. She always treated me like a dear friend even though I was totally starstruck to think she even knew my name. I fully believe in Pay it Forward too and is why I started Authors Tweeting Authors group on facebook. I spend mega amounts of time doing lots of RTing etc. for others and hope someone mentions my name in Pay it Forward, one day. Aaah, sighs. Wouldn’t that be nice! Not that payback is the reason why I do it, I love helping people…but… it would be nice if someone thought of me for a wee change too. Heres the link to my debut novel “White Heaven Women” if you are interested. It was inspired by a true story, believe it or not. http://viewBook.at/B008SDDGV6 The true reason for blue ghosts is told in audio here>> http://youtu.be/kGnp9nX7HyU ◄◄TRUE British story. 3 minutes.